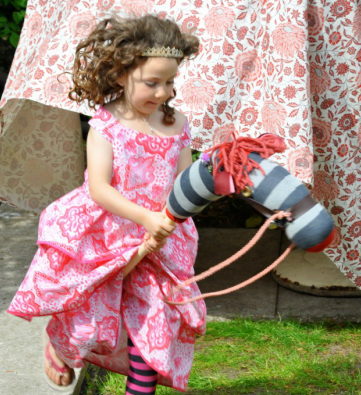 Brighten up a child's playtime with a quaint and whimsical hobby-horse by Calamity Bolt! 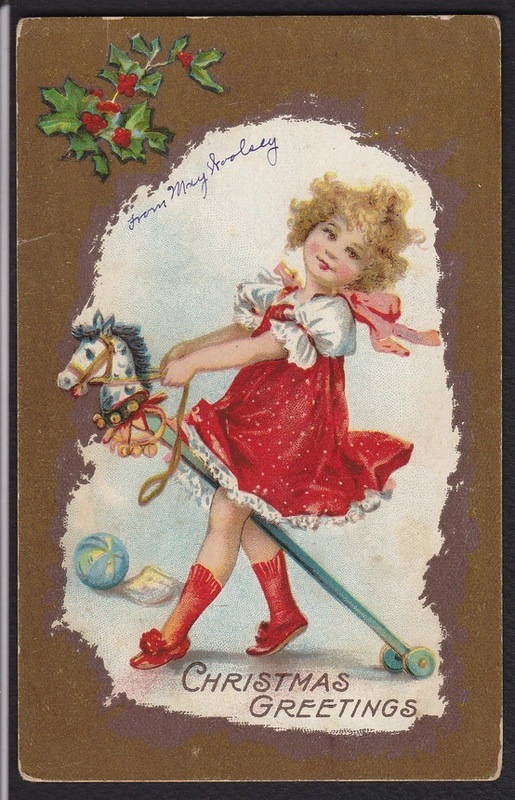 An old-fashioned toy for a young imagination! Do you have a wooden or tile floor? 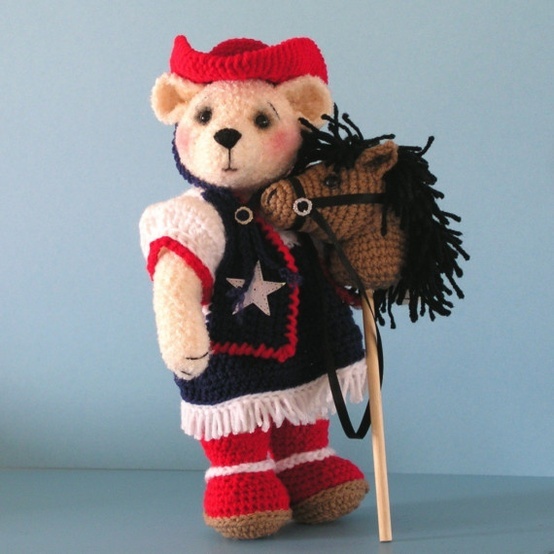 Please visit my store for riding socks, designed especially to fit your Calamity Bolt horse. 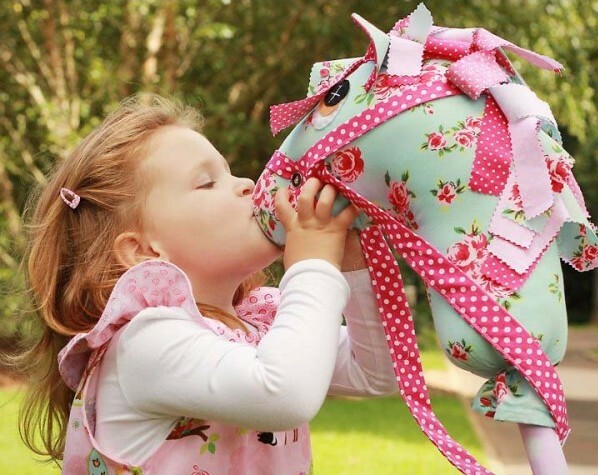 Strawberry Shortcake (hobby horse, stick pony, puppet, upcycled, recycled) all handmade, will make a great friend for your child. 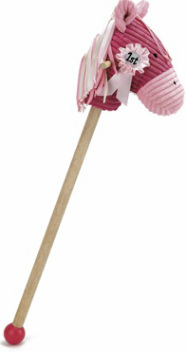 Strawberry Shortcake Hobby Horse features all recycled fabrics and is unique and adorable. 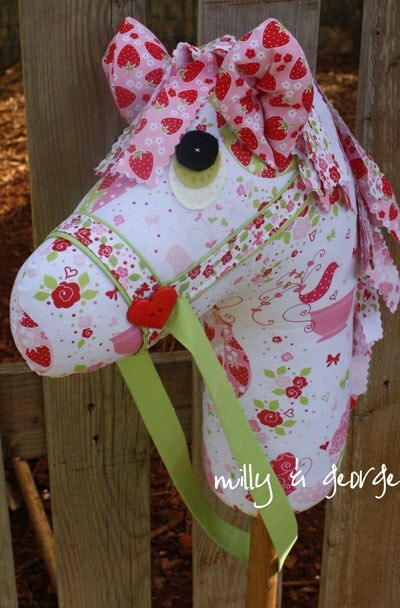 The head is of Strawberry Shortcake print on light green cotton The eyes pink mismatched buttons, . 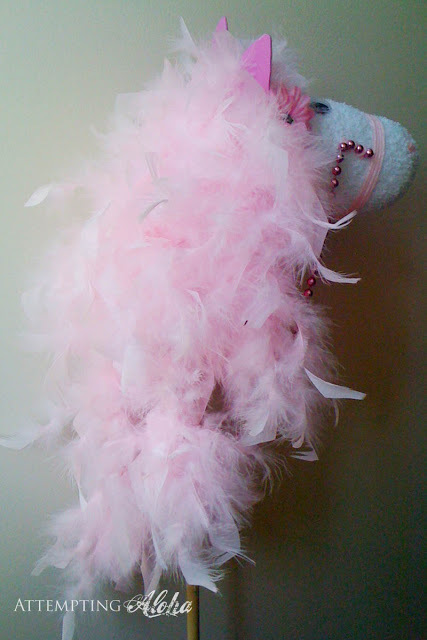 They say every little girl wants a pony (and in my experience, boys do too). Now get one that tucks away in the wardrobe when you’re finished with it. 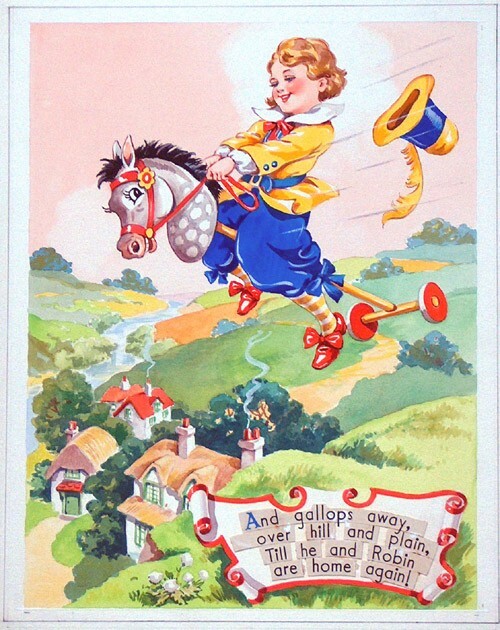 Much cheaper and easier to house and maintain than a real pony, a hobby horse is one of those classic toys no home should be without. 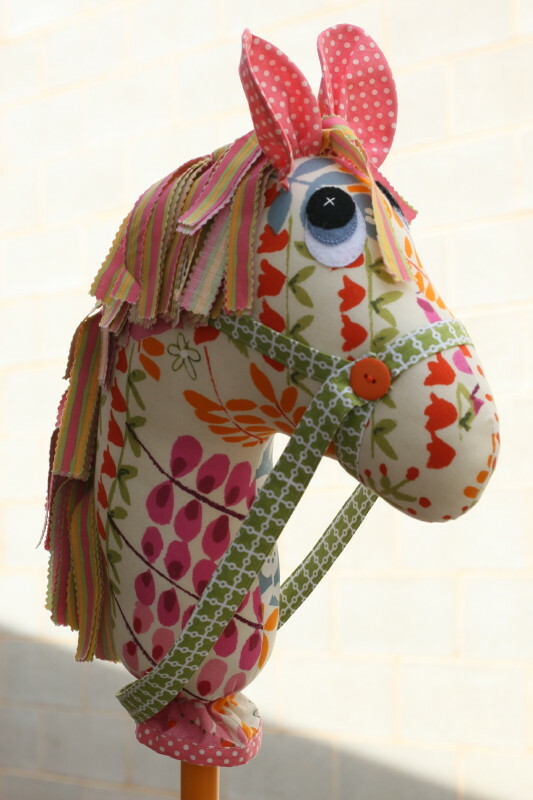 Lil Moo Designs offers a great new Australian made hobby horse in three different designs. 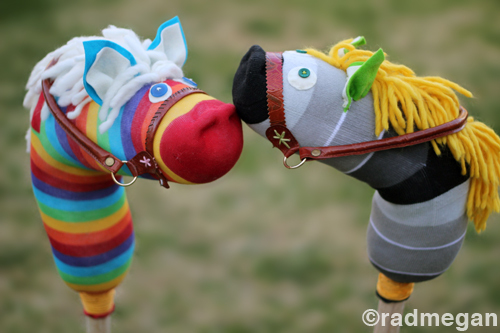 Each horse is about one metre tall and even comes with its own certificate of adoption. Handcrafted from designer fabrics. Loosely fill slipper sock with polyester stuffing. Nostrils: With heel facing up, pinch fabric on one side of toe and sew a 1/2-inch-wide horizontal stitch across pinch. Knot ends; repeat for other nostril. Ears: Cut four matching rounded triangles from felt (eg 2 inches wide by 2 1/2 inches high). Glue them together in pairs. Slightly bend each ear to create a hollow, then sew them to the head as shown. Eyes: Cut out and sew together almond-shapes from felt for eyes and pupils; sew onto head. Mane: Sew and tie 35, 1-foot-long pieces of yarn about 1/2 inch apart to back of head and neck. Taper width of mane to V shape sewing down sock. Pad top of dowel with large handful of stuffing. Pull head over dowel and add stuffing. Apply one large bead of glue to dowel, press sock to the glue for 5 seconds. Pleat and glue around dowel, then glue a length of cording to dowel just below sock. Bridle: Glue two 1-foot lengths of cording around the horse’s head as shown (fold the ends under to hide the raw edges). To make the rein, drape a 21-inch length of cording around the back of the horse’s head, then glue it to the sides of the bridle as shown, wrapping the ends around the cording at the nose to hide the raw edges. 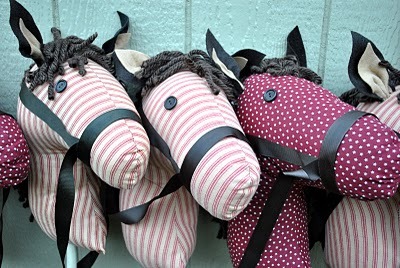 The Hobby Horses - pre-cut sticks at Home Depot. The horse heads -socks. - idea on Dandee with a few changes. grommets (found at Beverlys), and canvas straps (similar to a bag handle). The mane made out of Lion Brand Wool-Ease in wheat. leftover rope from the hula-hoops to wrap tightly attach the sock onto the stick (along with gorilla glue). 1. 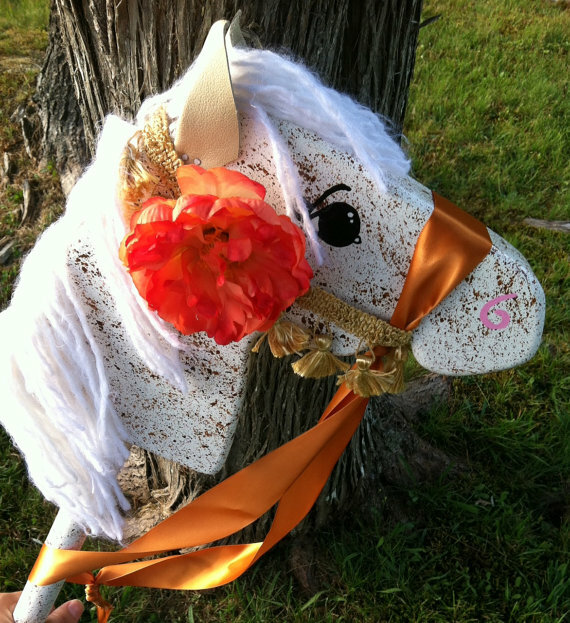 Supplies: fabric, stuffing, yarn/mophead, long wooden dowel, 1 styrofoam ball per horse, felt. 2. Carve out a portion of the styrofoam ball and glue the stick into the ball. 3. 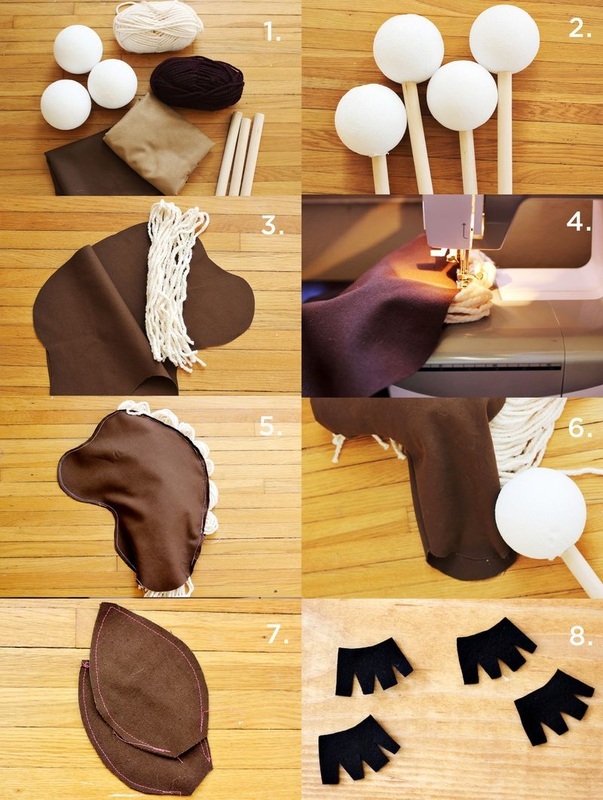 Cut out your horse head from your fabric. Cut yarn (about 30 inches long) and double over. 4. 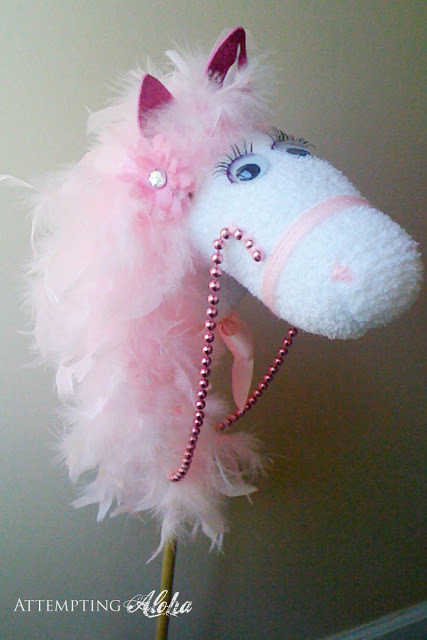 Sew around the perimeter of the horse head, adding the yarn in as you go. Make sure to leave the bottom or "neck" open. This is where you add stuffing. 6. Once the head is almost stuffed, insert ball into the neck and finish stuffing around the ball. 7. Cut out horse's ears and stitch around the perimeter. Turn right-side out and hand-stitch in place. 8. Add details such as a bridle and eyes. 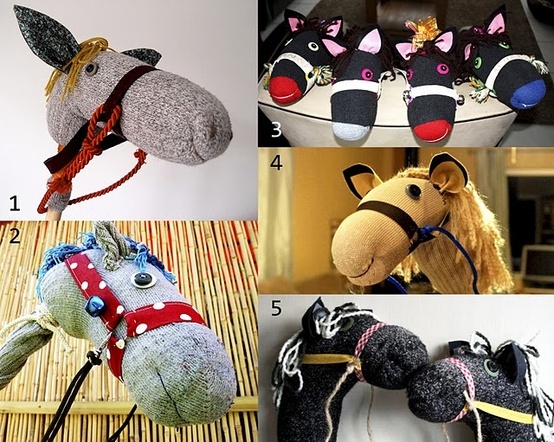 For these horses, I cut eyelashes from black felt and used fabric glue to glue them into place. I used the sewing machine to sew strips of scrap leather together to create the bridle and reins.